This a supplement to report no. 126. The photos included are of the interior and engine area. 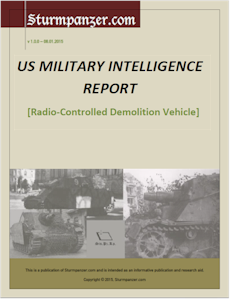 "A further examination of the German B IV c remote-controlled demolition vehicle described in ETO Ord Technical Intelligence Report No. 126 has been made and the additional information obtained is given to supplement that report."